THE parents of a US peace activist who was crushed to death when protesting against Israel's demolition of Palestinian homes in Gaza four years ago have been refused permission to sue the maker of the bulldozer that killed her. A US federal appeals court has ruled that Caterpillar, which supplied several bulldozers used by the Israeli Defence Force in house demolitions in the occupied territories, could not be sued as this would bring the judiciary into conflict with the executive branch of the US Government. A panel of three judges argued that the case could not go to trial "without implicitly questioning, and even condemning, United States foreign policy towards Israel". 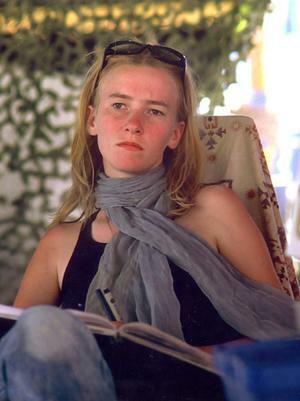 Rachel Corrie, 23, was killed on March 16, 2003, by a 60-tonne Caterpillar D9 bulldozer in Rafah, Gaza, as she tried to prevent the home of a Palestinian pharmacist being razed. She was wearing a fluorescent orange vest and, according to witnesses, was in full view of the bulldozer operator. Her parents and four Palestinian families left bereaved in actions involving similar bulldozers began legal proceedings in 2005. Lawyers for the families alleged that Caterpillar knew or should have known that the equipment was going to be used to demolish homes in violation of international law in incidents that at times led to the deaths of innocent people. Caterpillar, with supporting evidence from the US Government, argued the machines had been paid for by the Pentagon as part of the Government's military aid to Israel. Rachel's mother, Cindy Corrie, said she was extremely disappointed by the ruling. Mariah LaHood, a lawyer with the Centre for Constitutional Rights who worked on the case, questioned the US Government's role in giving evidence favourable to Caterpillar. Caterpillar was pleased with the ruling. "We are hopeful it will bring to an end what has been a lengthy but fair judicial process," the company said.